Today, we’ve learned what may be next for the Habitat for Humanity site listed for sale this past August. 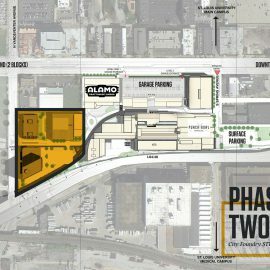 There were reportedly multiple bidders for the property across from the massive City Foundry project, and near Cortex. Plans show an 8-story Element Hotel by Westin fronting Forest Park Avenue. 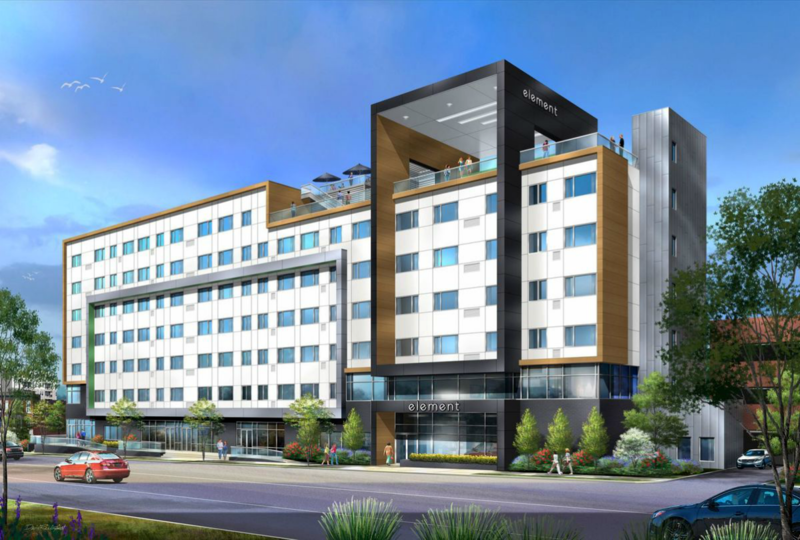 Planned for the former Headquarters of Habitat Humanity, The Hotel will add to the ever changing Forest Park Parkway-Vandeventer area of Midtown. 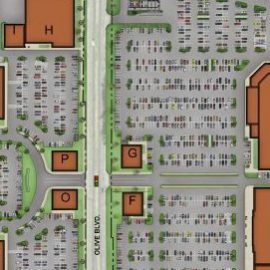 The $25 Million project will bring around 153 Rooms to the area and add to the Urban Streetscape of Forest Park Avenue. 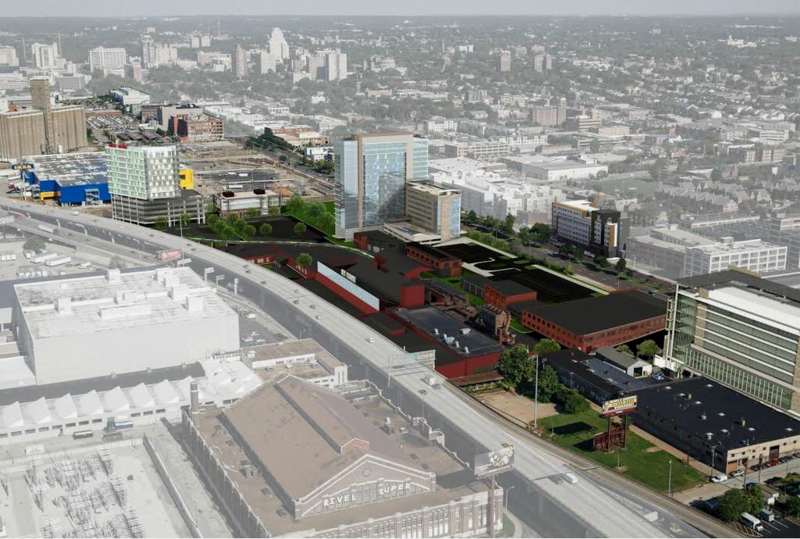 Upon Completion in 2018, if goes as planned, it will be another key part of this region’s revitalization. 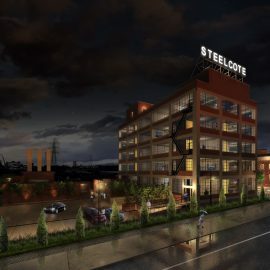 The Element Building will have 10,000 square feet of street-level retail space facing Forest Park Avenue, adding to what is set to become the first major retail district in St. Louis City in decades. 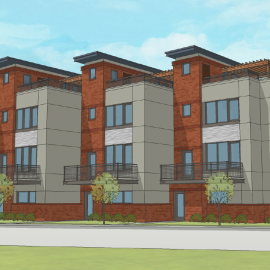 According to the St. Louis Post-Dispatch, Maryland Heights-based Midas Hospitality purchased the site for $2.4M. 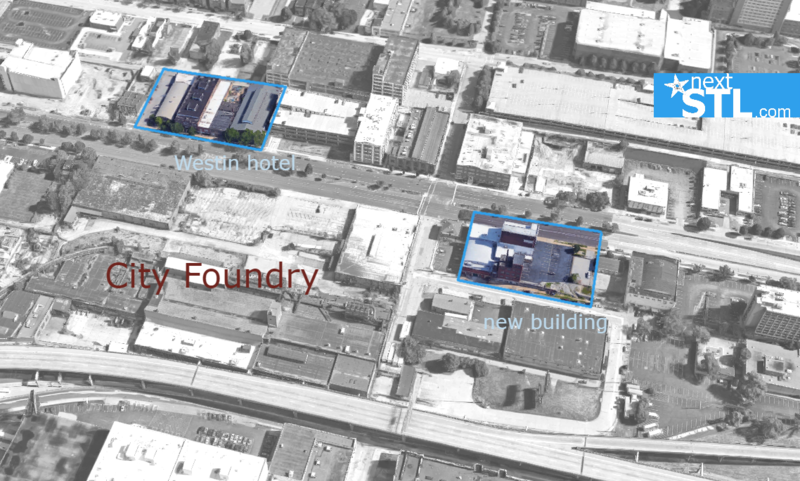 An aerial image of the hotel showing context with City Foundry also appears to show previously unknown buildings at that project. The new tower, east of the BYCO building, which is rumored to be a grocery store, appears to be on the site of the Falstaff Brewery Plant No. 1. 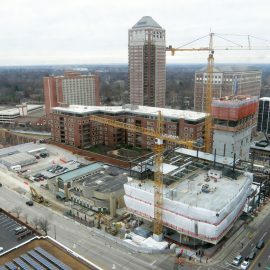 The building has been home to Jimmy John’s, The Lab Gym, and other uses in recent years. *This story will be updated. Chris Stritzel is a student at Vianney High School. He started his own development news site called Building St. Louis News, and is an active contributor at the UrbanSTL Forum.